Science teacher Andy Bricker sits with other participants at the Community Conversation on Feb. 21 in the Lawrence High cafeteria. The district gathered input at the meeting about how to improve school safety. With the safety of staff and students in mind, the Lawrence community is continuing to search for solutions after multiple weapons were discovered on campus. Since the incidents in February, the district has emphasized putting the safety of families first. On Feb. 21, Superintendent Anthony Lewis hosted a meeting at Lawrence High to hear feedback from these families. One clear issue being addressed from these findings is student and staff relationships. The issue of relationships has been the focus of Lewis’ immediate solution while the district analyzes feedback data from students and parents. He hopes identifying staff that provide safe environments will translate that success to a larger scale. Some students are also using a data-centered approach to make schools safer. Junior Siona Baker created an Instagram account called LHS Polls, from which she surveyed dozens of students on issues ranging from safety to recognizing school administration. Baker hopes that the creation of the polls will better incorporate student voices during these discussions, but encourages students to continue voicing specific concerns within their communities. Even with a pragmatic approach, some students and staff feel the response should be more apparent, with a structured district plan being less important. Another pressing concern is that physical changes that will restrict outside access to the building and connect the main building and annex won’t be made until after the construction. Lewis worries that a rushed physical solution would prove ineffective. Similar to mental health solutions, he wants to rely on research findings. 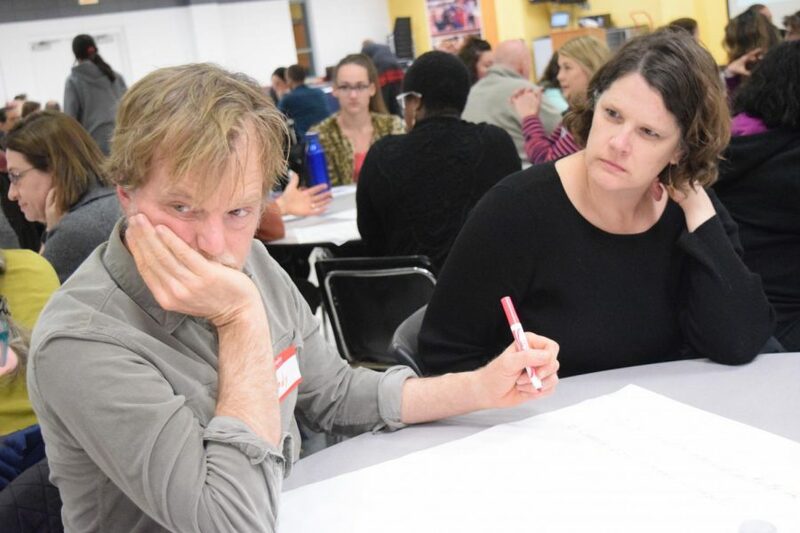 While no specific long-term changes will be made until after the second community conversation in late March, many hope the district will take action with the information gathered so far. In the end, teachers like Casey want solutions to include student voices and advocate for students to continue bringing concerns to trusted adults.